It seems like every season is the busy season for the film industry in Western New York. A major film just wrapped and another is in the middle of its shooting schedule. One interesting side effect of all this work is the growth of film production facilities in Buffalo. Buffalo Niagara Film Commissioner Tim Clark explains on this week's Press Pass with WBFO’s Pat Feldballe. The motion picture industry in Buffalo and Western New York has been growing steadily for a number of years now and more than a few producers, aware of the support for the film industry and the cinematic resources the area offers, are becoming return customers. 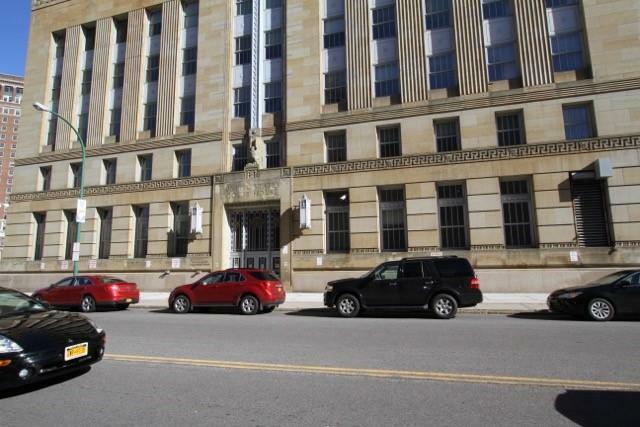 WBFO’s Pat Feldballe talks to Buffalo Niagara Film commissioner Tim Clark about one such project, getting underway soon, that features a pretty big name in the movie business. The business of movie-making in Western New York continues to grow and 2018 looks to be another very active year with many out-of-town producers bringing their projects to the Buffalo area. On this week's edition of WBFO’s Press Pass, Pat Feldballe talks to Buffalo Niagara Film Commissioner Tim Clark about the vibrance of the homegrown, Buffalo-based film scene. Continuing the momentum of recent years, 2018 is expected to be a busy year for the film industry in Western New York. With that activity comes a need for undiscovered locations that could serve as the backdrops for those films. Pat Feldballe and Film Commissioner Tim Clark talk about how you can get involved in this week's edition of WBFO's Press Pass. On this week's Press Pass, Buffalo Niagara Film Commissioner Tim Clark and WBFO’s Pat Feldballe look back at the biggest year in Buffalo filmmaking yet and look ahead to some of what’s in store for 2018, including a "really big star" coming to the area in March. It has been a busy and productive year for filmmaking in Buffalo and Western New York. On this week's Press Pass, WBFO’s Pat Feldballe talks with Buffalo Niagara Film Commissioner Tim Clark about the year’s events and what’s heading to town in 2018. The film business in Western New York has had a very busy 2017 so far and the last quarter of the year is on track to maintain that level of activity. Buffalo Niagara Film Commissioner Tim Clark and with WBFO’s Pat Feldballe talk about what's happening now and what's coming up on this week's edition of Press Pass. The growth of the film industry in Western New York is having a positive effect on jobs. As the number of films produced here increases, so, too, does the number of local people needed to work on their crews. Several area colleges, as well as the regional film commission itself, are now offering courses for entry-level positions on film crews. 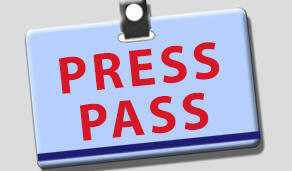 On this week's Press Pass, WBFO’s Pat Feldballe talks with Buffalo Niagara Film Commissioner Tim Clark about the trend. It’s only January, and but not too early in the year to think about planting seeds. On today’s edition of WBFO’s Press Pass, Pat Feldballe talks to Buffalo Niagara film commissioner Tim Clark, who's traveled to Los Angeles and then will be heading to the Sundance Film Festival in Park City, Utah, planting the seeds for future growth of the film industry in Western New York. 2016 was a big year for film in Western New York. WBFO Blues host Pat Feldballe speaks with Buffalo Niagara Film Commissioner Tim Clark about "Marshall" and more on this week's edition of Press Pass. On this week's edition of Press Pass, WBFO's Pat Feldballe and Buffalo Niagara Film Commissioner Tim Clark talk about the increasing interest film producers are showing in Western New York and how the number of scouting requests from out-of-town filmmakers continues to go up. The film production business in Western New York has been steadily growing and on this week's edition of Press Pass, Buffalo Niagara Film Commissioner Tim Clark tells WBFO's Pat Feldballe about a couple of recent visits he had with some Hollywood heavy hitters. With location shooting for the movie “Marshall” now complete and the buzz around the filming having died down, what’s next for the area’s filmic future? Quite a lot, as it turns out. On this week's edition of WBFO's Press Pass, Pat Feldballe speaks with Buffalo Niagara Film Commissioner Tim Clark about what's going on cinematically in Western New York. Press Pass: After 'Marshall,' what's next? The big-budget Hollywood film “Marshall” is roughly halfway through its shooting schedule in Western New York. On this week's edition of WBFO’s Press Pass, Pat Feldballe and Buffalo Niagara Film Commissioner Tim Clark discuss the film’s progress and what's next on the commission’s agenda in the coming months. Press Pass: Marshall, Marshall, Marshall! Local shooting for the period film “Marshall” begins next week. On this week's Press Pass, WBFO’s Pat Feldballe and Buffalo Niagara Film Commissioner Tim Clark discuss the run-up to the start of production and how the movie will showcase Buffalo on the big screen in a number of ways — its homes, vintage automobiles and, of course, its residents. On today's edition of Press Pass, WBFO Blues host Pat Feldballe and Buffalo Niagara Film Commissioner Tim Clark talk about a major film project headed to Buffalo, a period piece set in the 1930s and 1940s that requires authentic-looking home interiors and vehicles. Your home or classic car could star in the film. 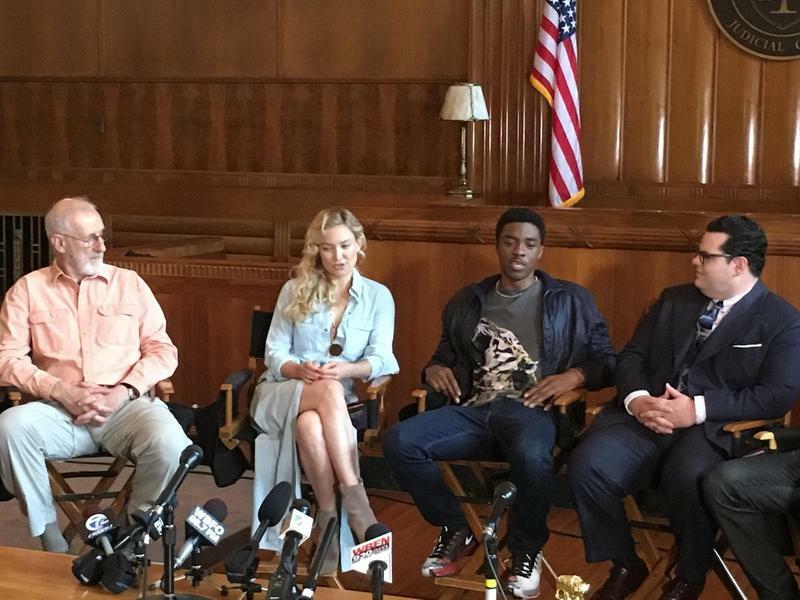 On today's edition of WBFO's Press Pass, Pat Feldballe and Buffalo Niagara Film Commissioner Tim Clark talk about a new holiday movie and a couple of national commercials that are in town this week for shoots, a weekend conversation with actor William Fichtner and attempts to lure a new film on the life of Supreme Court Justice Thurgood Marshall being pitched with help from Sen. Chuck Schumer. This morning on Press Pass, WBFO’s Pat Feldballe speaks with Buffalo Niagara Film Commissioner Tim Clark about pitching producers, some new projects that are currently shooting, and the economic impact of film industry spending in Western New York. This week on Press Pass, WBFO’s Pat Feldballe speaks with Buffalo Niagara Film Commissioner Tim Clark about attending a New York City seminar with Tina Fey and Harvey Weinstein and the process of searching for, and finding, the locations producers are seeking for their projects.